The Colorado Avalanche re-signed forward Gabriel Bourque to a one-year contract on Thursday. Adrian Dater of BSN Denver reports the deal carries a $950,000 cap hit for Bourque, who was scheduled to become an unrestricted free agent this summer. The 27-year-old scored five goals and posted 11 points in 58 games with the Avalanche this season. He had one goal and two points in five games with the AHL's San Antonio Rampage this year. 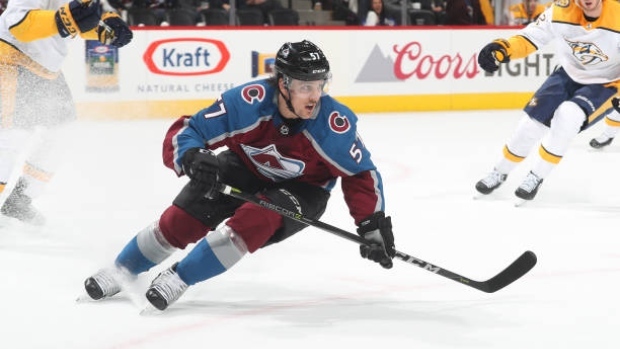 "Gabriel brings leadership and a veteran presence to our team," Avalanche general manager Joe Sakic said in a release. "He plays hard minutes, kills penalties and is reliable at both ends of the ice." In 306 career contests with the Nashville Predators and Avalanche, Bourque has 36 goals and 89 points. He was selected in the fifth round, 132nd overall, in the 2009 NHL Entry Draft.